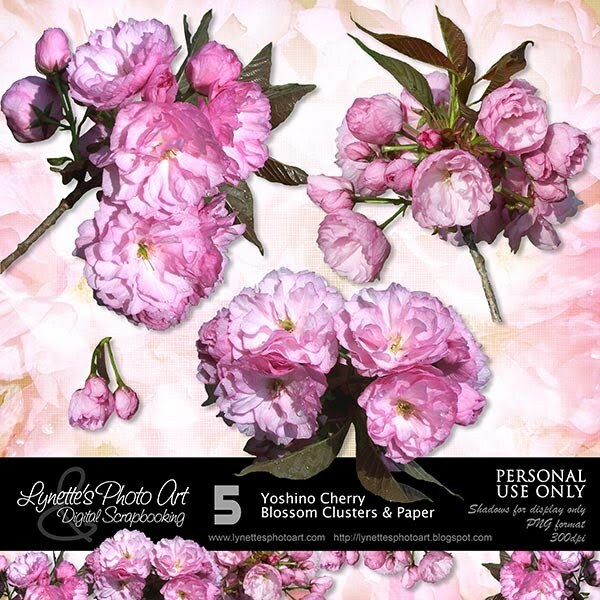 Yoshino Cherry Blossoms has four fabulous clusters and one of the most lovely papers you will ever see! Click image to enlarge. Click Buy It Now Button below the image to purchase from my PayPal Store for $1.99. Today I'm giving you a gorgeous paper I made with this kit for you to sample - enjoy! More gorgeous flowers, thank you! Happy Mother's Day! Hope you have a great day!